Computer scientists at Kansas State University in Manhattan are investigating ways of improving the security of computer networks, by constantly changing their configurations. The project is funded by a five-year grant from the Air Force Office of Scientific Research valued at more than $1 million. Computing and information schience professors Scott DeLoach, and Xinming “Simon” Ou are researching the feasibility of building a computer network that protects itself against online attackers by automatically changing its setup and configuration, called a moving-target defense. The study aims to document if this type of defense can work, and if so, whether the benefits outweigh the costs in resources to implement and overhead to run. 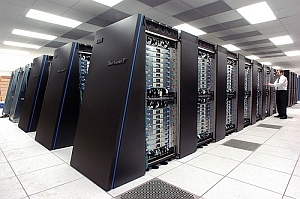 The idea behind the moving-target defense is to create a computer network no longer static in its configuration. Instead, the network automatically and periodically randomizes its configuration through techniques such as changing the addresses of software applications on the network, or changing the location of critical system data. One benefit of the moving-target defense would be to reduce or eliminate multiple invasions by the same attacker. The researchers cite the February 2011 attack on the Nasdaq stock exchange network, where the network’s security had been left vulnerable for more than a year while the hackers visited it numerous times. Interesting post. Thought you might find this relevant. Check this graphic out. http://www.rackspace.com/blog/the-anatomy-of-an-attack-interactive/ – Anatomy of an Attack – Why You Need to Consider Security in the Cloud. Thanks Jen for visiting Science Business and sharing the link. The step-by-step approach shows that the threats are well organized and resourced.